Balance a Zone meal with the right amount of fish oil. The secret of the Zone lies in the biochemistry in every single cell in our body. Technically, it is the activation and inhibition of delta 5 desaturase D5D enzyme is the beginnings and foundation of the Zone diet. Whoa! That’s a lot of biochemistry! Here’s what you really need to know about the Zone Anti-inflammatory nutrition. There are two big problems in the average North American’s diet that puts them on a path of inflammation. The first is excessive dietary intake of vegetable seed oils rich in omega 6 FA. These fats accelerate aging and cause chronic disease (because they make a toxic fat called arachidonic acid). The second is that the average North American consumes way too much refined carbohydrates in the form of bread, rice, pasta, potatoes and sugary snacks. These foods cause a surge in insulin. Remember that enzyme . . . D5D enzyme. . . Well, excess insulin secretion stimulates this D5D enzyme to increase production of arachidonic acid (AA) at the expense of DGLA. That’s a bad thing. Since insulin is an activator of the D5D enzyme, it explains the growing number of studies that link excessive insulin with heart disease: D5D increases silent inflammation by increasing AA production. 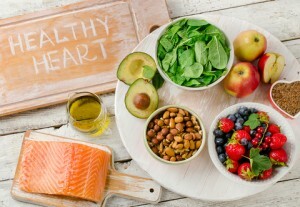 It isn’t that insulin is the cause of heart disease but rather it causes an increase in silent inflammation, especially in the presence of excess dietary omega 6 FA. This leads to the realization that you cannot control eicosanoid levels completely without controlling insulin levels first. The only way to control insulin is to control the protein to carbohydrate ratio at every meal. In this regard, you begin to treat food as if it were a drug to be taken at the right dose at the right time. The estimate of what the ratio of protein to carbohydrate intake comes from anthropological data from 10,000 – 40,000 years ago. Paleolithic man ate 3 grams of protein to 4 grams of carbohydrates, making the protein to carbohydrate ratio of 0.75. The Zone diet keeps the protein to carbohydrate ratio in a range of 0.5 to 1.0 at every meal and every snack with the bulk of carbohydrates being low glycemic load such as vegetables and fruit. Mono-unsaturated fats in the diet, such as olive oil, guacamole or almonds, further help with insulin control. These fats cannot be made into eicosanoids; they simply control the entry rate of carbohydrates into the blood stream. With this approach insulin and glucagon hormones maintain a balance enhancing the ability of EPA to inhibit the D5D enzyme from making AA. To fully control silent inflammation you need to supplement both with pharmaceutical grade fish oil rich in EPA and balance protein to carbohydrates at every meal. The more successful you become in controlling the activity of the D5D enzyme, the less the likelihood DGLA levels will spillover into AA. Thus the low levels of omega 6 FA in the diet would be sufficient to maintain DGLA levels to produce adequate levels of anti-inflammatory eicosanoids. Furthermore, the more you control insulin with diet the less EPA you need to control silent inflammation but the less you control insulin by diet the more EPA you need to control silent inflammation. Are you wondering how to control your insulin with diet? Check to see more about the Zone Diet at Dr. Vera’s next Zone Diet workshop. Click here for next date.